← Lygna Opp – A surprising win! 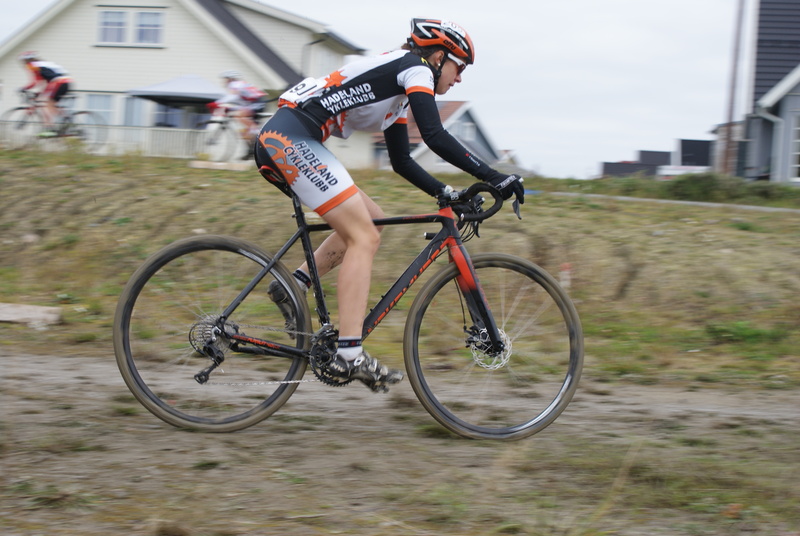 After nearly 7 weeks with very little training, I’m not too sure what I expected from my first cyclocross experience on a ‘cross bike. I threw myself in at the deep end – sink or swim right? – by entering the first two Norges Cup rounds. I’ll start by saying that I neither sank, nor swam, but just sort of … floundered! It was a leg burning, lung destroying affair which was fun despite my inadequacy. From the moment the start gun went on Saturday, I realised I was unfit, untrained, and about to suffer. Almost dead last out of the start, I made inroads on a small group ahead, but after 25 mins of trying to close the small gap the effort killed my legs, and that was that. 7th. 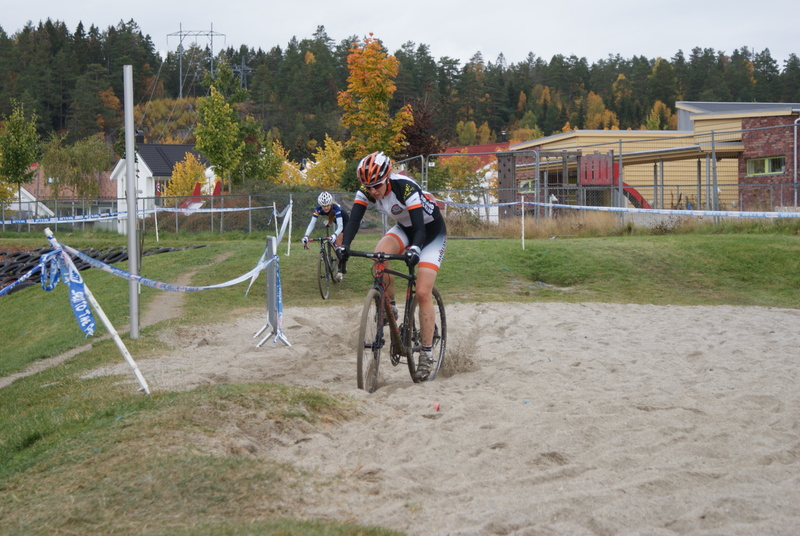 CX is exactly technical like XCO, but the course managed to be full of little areas that would challenge me. Running – errr, yeah! Jumping obstacles – Good Luck Em! Sharp switchback corners – really, what am I doing?! Mud – should I just go home? The day before the first race was spent getting to grips with my new Nakamura Pursuit 4.0 CX bike that had arrived a couple of days before. It’s a real beauty, matt orange and black paintwork with dabs of shiny black paint to highlight the name. The acceleration is impressive, and the handling fun. I spent some time in the local park practising techniques such as shouldering the bike, getting to grips with the brakes and their power and how to ride steep slopes without 710mm wide handlebars or suspension. So during Saturday’s race, I nailed the obstacles, and shouldered the bike on the climb. I rode the sand, the steep tyre strewn slope (actually easy, just roll!) and understood that mud isn’t scary. Other than needing to maintain speed when dismounting, I got to grips with the basics in a race, and hadn’t really set out to do much more than that in the first race. 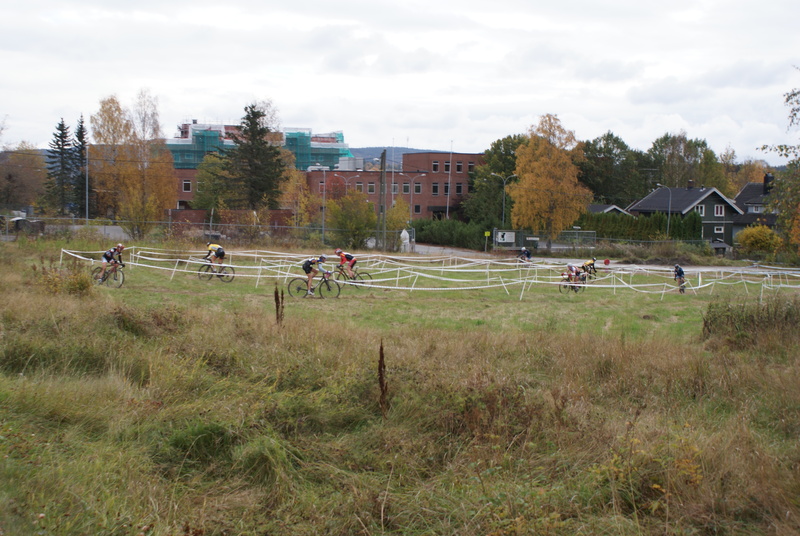 On Sunday, the course was pretty much run backwards, with some minor alterations. Gone was the big climb, and in it’s a place an off camber grassy descent. Gulp. Steep down slopes yesterday became ups today. Stairs were introduced and sharp switchback corners removed. Tyre down, became tyre up – almost mastered but not quite enough commitment. Once again the start gun went, and once again I was almost dead last. But less dead last than the day before. I really must start training again! 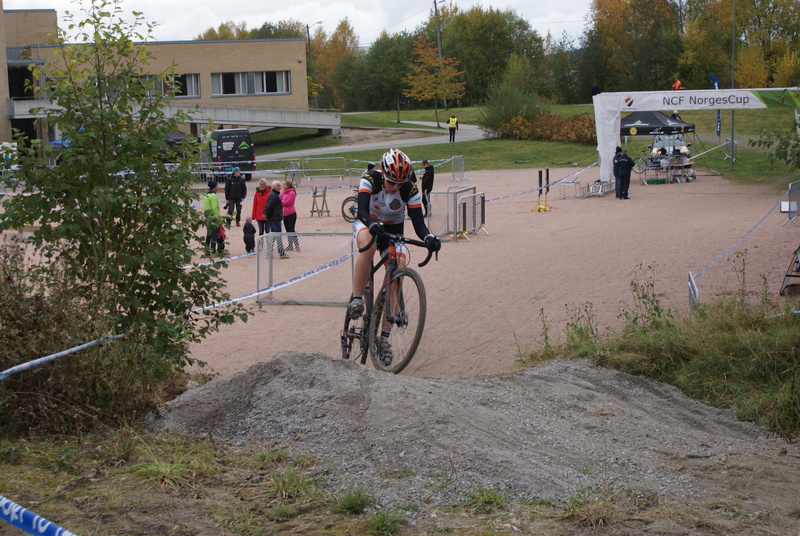 I over took a few women, but was mostly riding in 5th position for the course, out of the women senior class. I quite liked the course this way around, it felt like it suited me more. Once again I lost time and momentum on the dismounts, there were 3 compulsory run sections today with one that was possible to bike with enough power and energy. So essentially 4 run sections in quick succession. That was seriously draining physically. 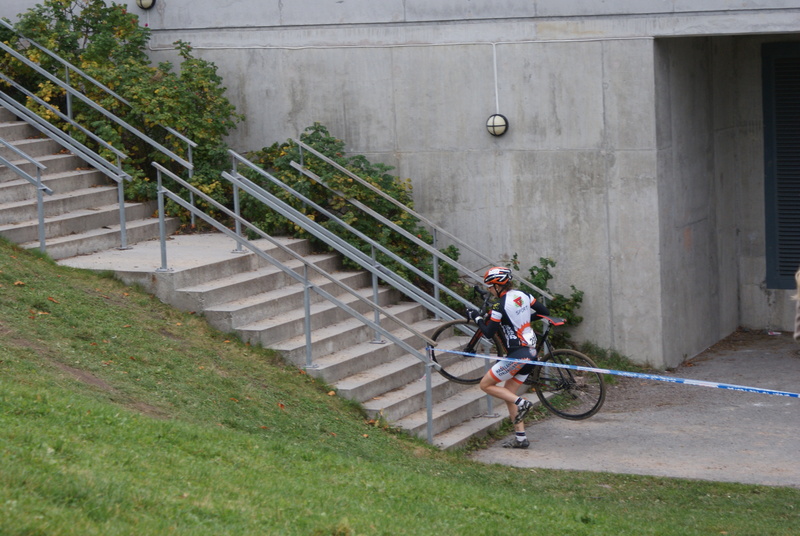 I don’t know about hardened ‘cross riders, but the off/jump/on action sends my HR through the roof. After a few laps, I couldn’t brake hard enough and wheel butted a barrier I was supposed to be jumping over on foot! At least I didn’t nose dive over the barrier. With two laps to go, my legs were done. For the run sections I was never certain they would be underneath my body to take my weight, or would I just fall flat on my face. I was so heavy legged I could hardly walk, and my ankles lost all stability. It was a hilariously painful feeling! On the bike, pedalling I felt better, but still in a world without speed or power. 5th. The next Norges Cup is three weekends away, but between there are a couple of one day races in Oslo. I’m looking forward to some good training now, getting the 2016 training season started, and hopefully getting some of my power and speed back. On both days I lost a minute on the last two laps, so with a bit of training, and intervals, I should be able to get my consistency back near the end of the race. This entry was posted in CX. Bookmark the permalink. Sounds like a fun baptism into the world of CX. Plenty of options in Yorkshire over winter if you’re ever across. And I’ve found it really does help with bike handling skills (something I’ve neede a lot of work on).